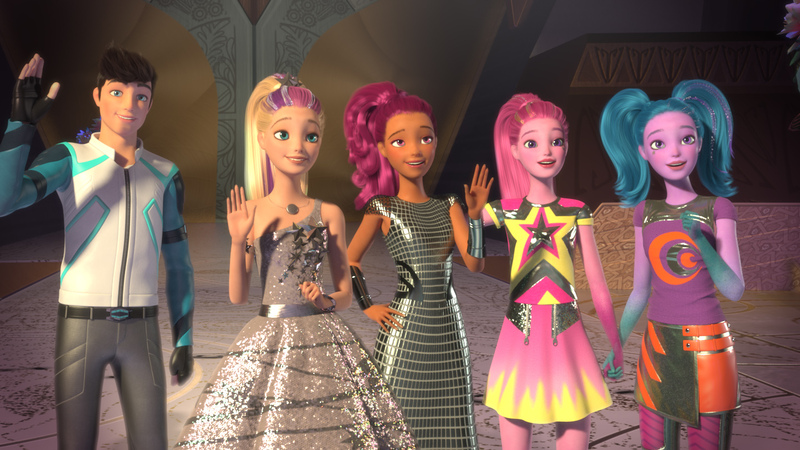 Fathom Events and Mattel are bringing Barbie™ to the big screen with Barbie™ Star Light Adventure in select theaters nationwide on Saturday, July 30! Whether it's for an upcoming summer birthday party or a fun day planned for the whole family, the super stellar adventure will surely be a hit for any fan of the Mattel Barbie™ franchise. Barbie™ Star Light Adventure features cosmic princess Barbie in her first intergalactic mission! Alongside her adorable pet sidekick, Pupcorn, Barbie teams up with new friends to keep the twinkling stars from dimming out and slowing their dance in the sky. During her action-packed adventure, Barbie soon discovers she may be the leader the whole universe has been waiting for! The full Barbie screening experience will include an introduction from Barbie, an exclusive “Firefly” music video featuring Lindsey Stirling and sing-a-long lyrics to the “Shooting Star” music video. Barbie fans can visit FathomEvents.com to purchase tickets and find the nearest theater. Tickets for “Barbie™ Star Light Adventure” can be purchased online by visiting www.FathomEvents.com or at participating theater box offices. Fans throughout the U.S. will be able to enjoy the event in nearly 400 movie theaters through Fathom’s Digital Broadcast Network. For a complete list of theater locations visit the Fathom Events website (theaters and participants are subject to change).